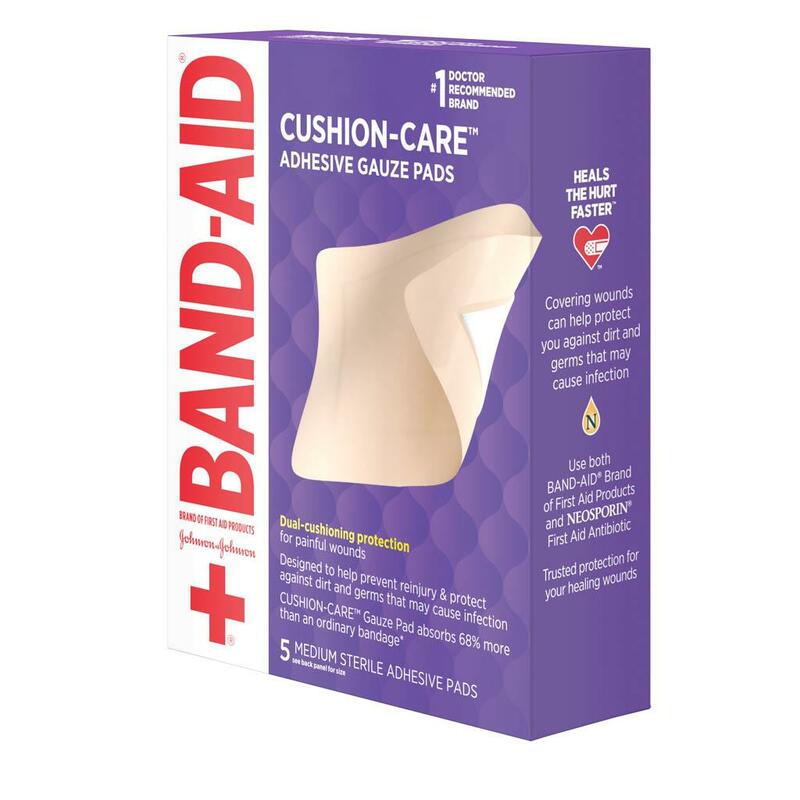 BAND-AID® Brand CUSHION-CARE™ Adhesive Gauze Pads cushion and protect your wounds. 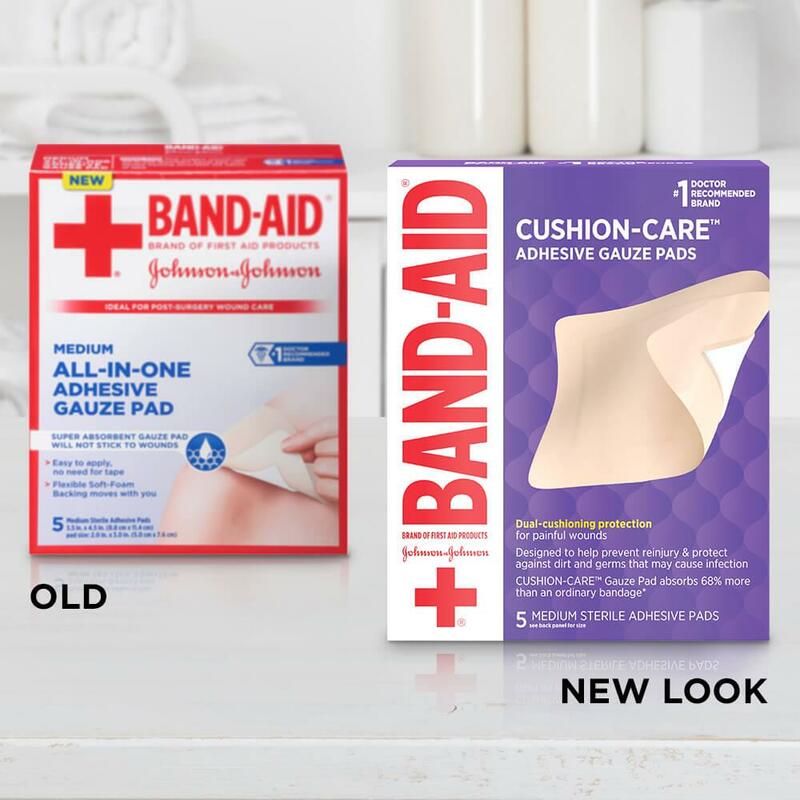 Made with a flexible soft-foam backing, this breathable adhesive gauze pad moves with you and stays in place for eight hours. 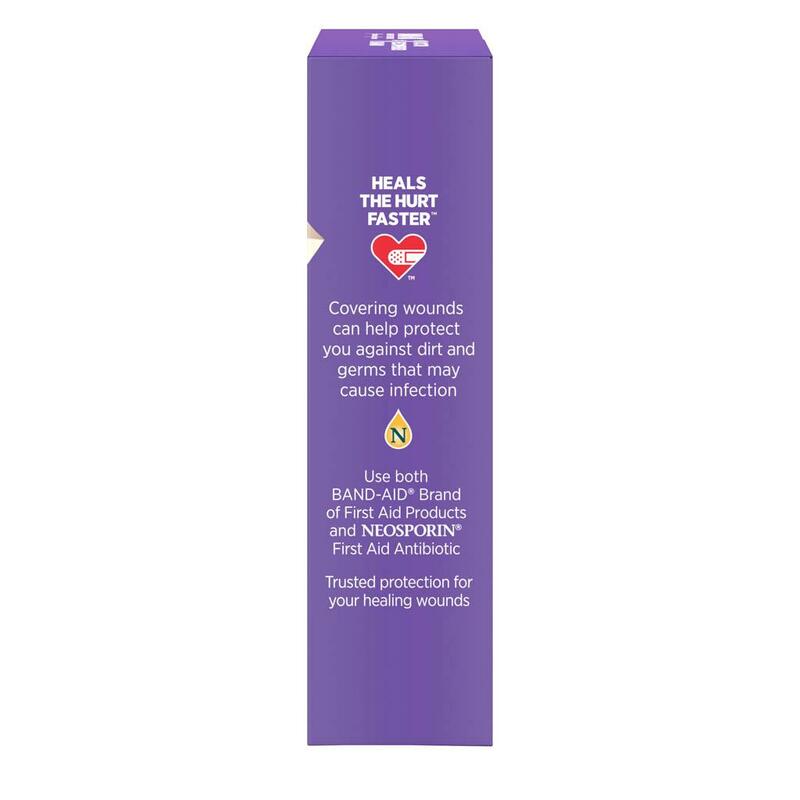 This highly absorbent first aid gauze pad wicks away wound fluids while forming a protective barrier against dirt and germs. 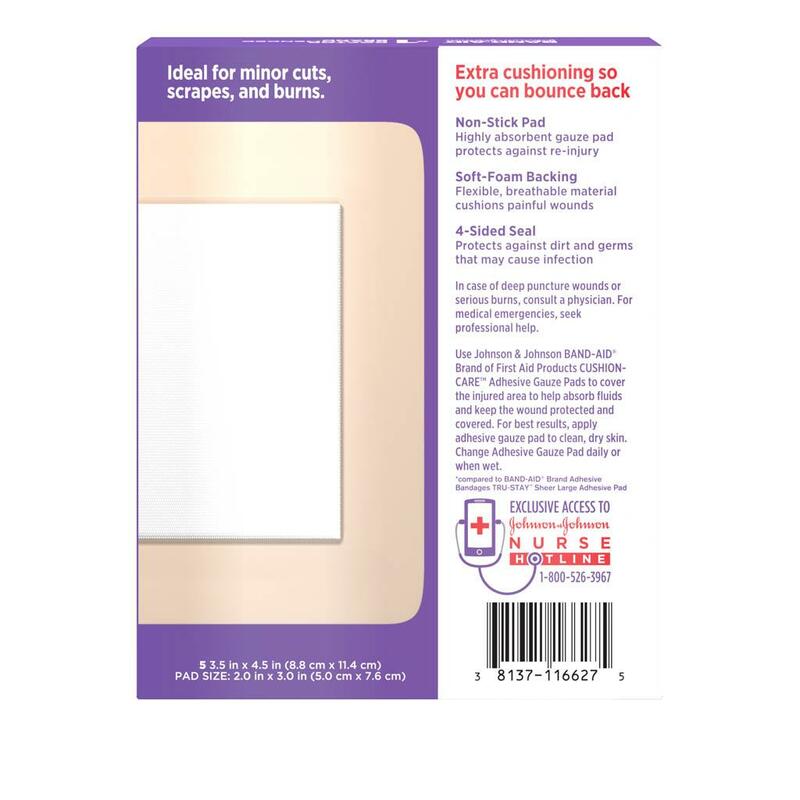 This easy-to-apply and breathable adhesive gauze pad is not made with natural rubber latex. 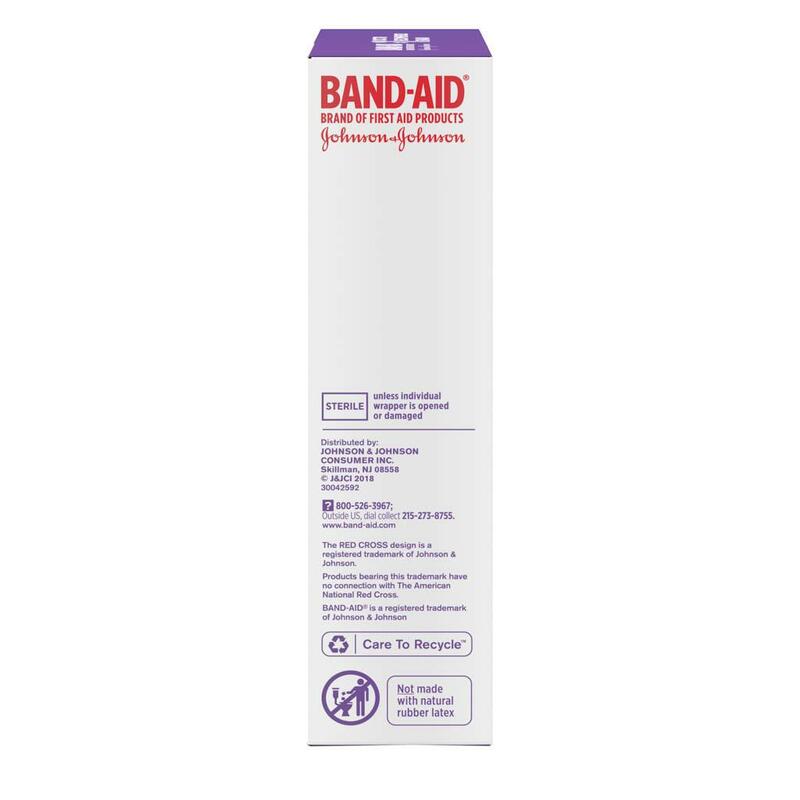 Gauze comes in size Medium and measures 3.5 inches by 4.5 inches.